Like any good pet owner, you want to look out for your pet and make sure that he has all of his needs met. One of the major needs for a dog is a dog bed. A dog has to have a good place to nap as well as to rest at night. When you have a large dog, it’s very important that you have the right size bed for him. This is because many breeds of larger dogs are often more susceptible to conditions like arthritis. This can make it more difficult for the dog to rest properly if his joints are not supported when he lies down. There are plenty of good dog beds for large dogs that have extra features you’ll find helpful. Armarkat Pet Bed, our featured product, is one of these beds. This one has waterproof lining, so if you have an older dog that tends to have bladder accidents, it won’t ruin the bed. The cover for this one is removal so you can wash it. Plus, it has a non-skid base so the bed won’t be scooting all over your floor. Large dogs enjoy having something to rest their head on and they also enjoy having support against their back just like their humans do. There are dog beds that are not only beautifully designed, but they also look like sofas. One of these sofa dog beds is the Dosckocil Sofa Dog Bed, which is 20 inches x 16 inches, so it will be a good fit for the bigger dogs. It’s machine washable and can be folded up if you need to take it with you somewhere. Not every dog enjoys a sofa style bed because they prefer one they can tug around and put where they want it to be. 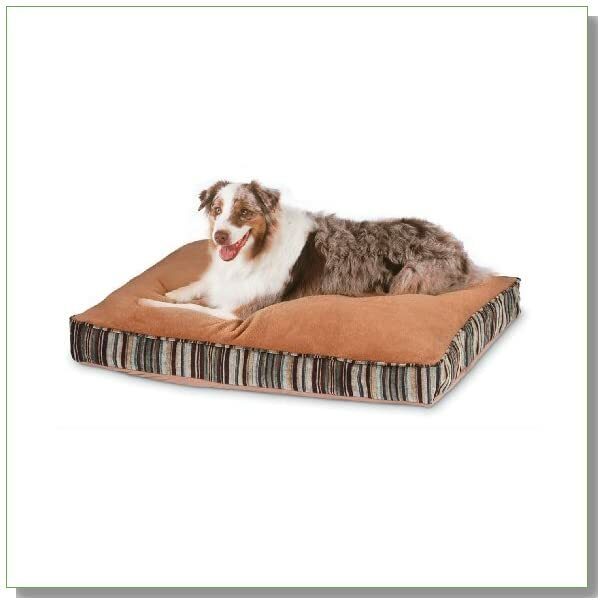 For that, you can use something like the Majestic Pet bed that’s a wide size at 35 by 46 inches. This one is also machine washable. Besides being comfortable, you also want to keep your dog as healthy as possible. The Petmate Microban pet bed can help you to do that. It has antimicrobial protection. That means that it works to protect your dog from microorganisms such as fungal, bacteria and virus in nature that can make you or your dog sick. This 27 by 36 inch bed offers your dog plenty of room and the cover is removable for easy machine washing. 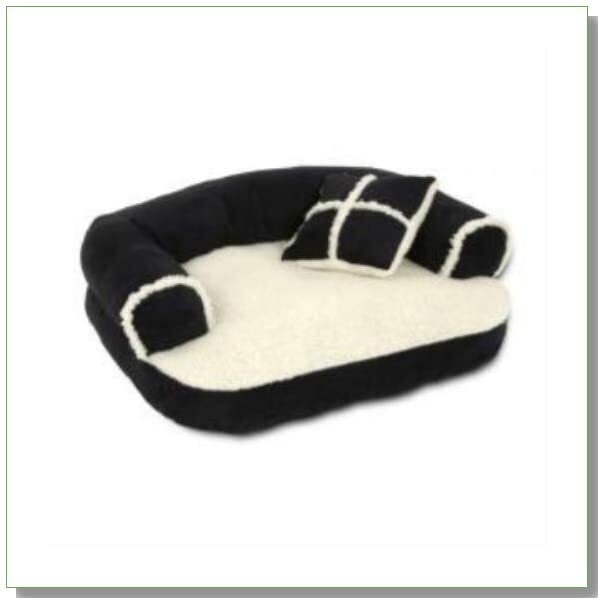 Lambswool is extremely comfortable for a dog to lie on and the Dog Bed King USA Extra Large Cuddler Bed has this interior. It’s so large that even a Great Dane can comfortably use this bed. The hem is elastic, so that makes it easier to remove the cover for it to be washed. While you can machine wash this one, you do have to line dry it.